Overview of diagnosis and treatment of central retinal vein occlusion. The inner layers of the retina receive their blood supply from the central retinal artery. The blood returns to the heart through the central retinal vein. Both vessels enter the eye through a small opening in the middle of the optic nerve. Either because this opening shrinks or because the artery hardens or because of circulations problems, the central retinal vein can become partially or completely occluded. 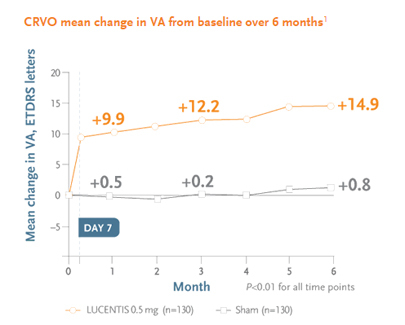 When a patient develops a central retinal vein occlusion (CRVO), they lose some or most of their central vision. The photograph of the retina on the right is of an eye with 20/50 visual acuity with a central retinal vein occlusion for 6 weeks. The retinal veins dilate and there are retinal hemorrhages. Patients often develop swelling of the central retina-cystoid macular edema--causing some of the vision loss. 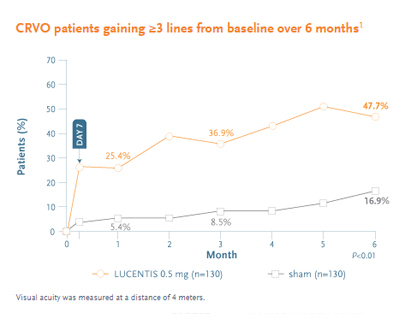 Without treatments, 25% of eyes improve, 50% stabilize, and 25% worsen. 'Solid improvements that will increase claims paid,' says Alan Lakey. 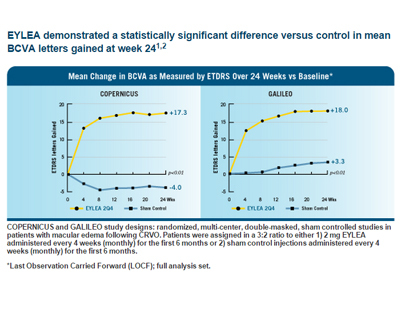 A study conducted by an NIH institute proves Roche's Avastin is as effective as Regeneron's Eylea, a drug that costs 30 times more than Roche's antibody. 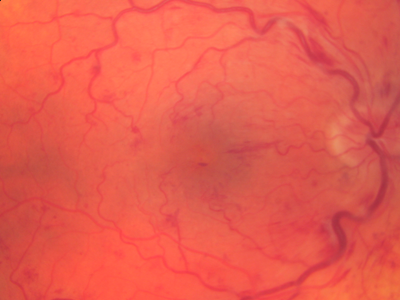 High blood pressure and high cholesterol levels appear to be risk factors for retinal vein occlusion, a condition that causes vision loss, according to a new article. 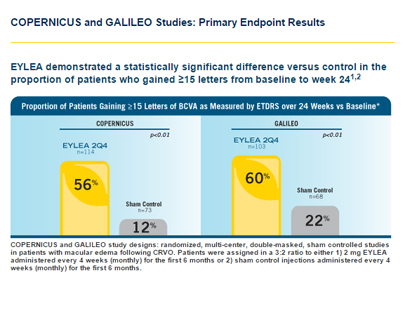 The 8-week data from the first phase 3 trial (SAPPHIRE) in treating macular edema due to retinal vein occlusion is expected in Q4 (a big binary event for the st.